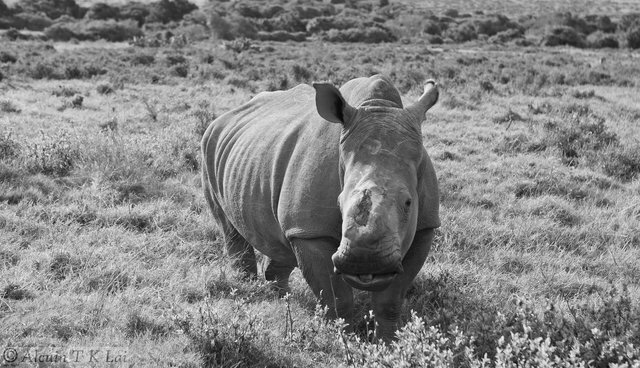 In early 2012, Thandi was one of three rhino found poached in Kariega Game Reserve. She was the only one to survive. 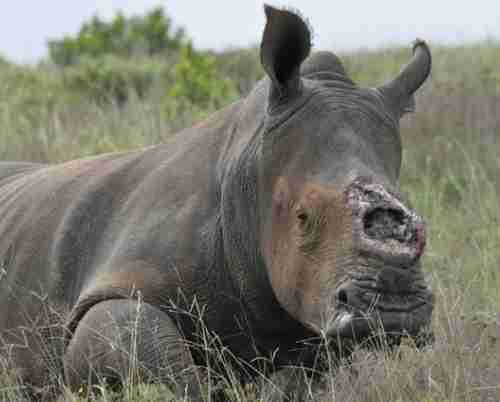 Since then, this determined survivor has undergone surgery to help heal her opened sinus cavities with skin grafts. Not once, not twice, but seven to nine times! In December 2013 , during one of her procedures, Dr. William Fowlds added an additional blood test to her usual profile that would measure any hormonal fluctuations. 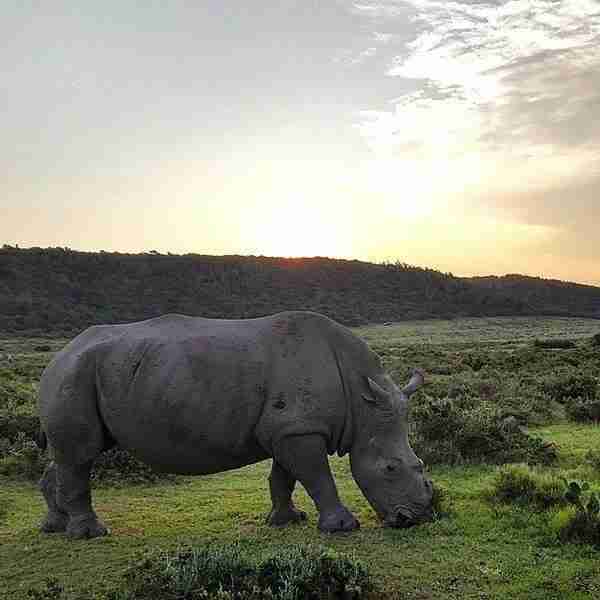 Very soon after, it was joyfully announced that Thandi was pregnant! 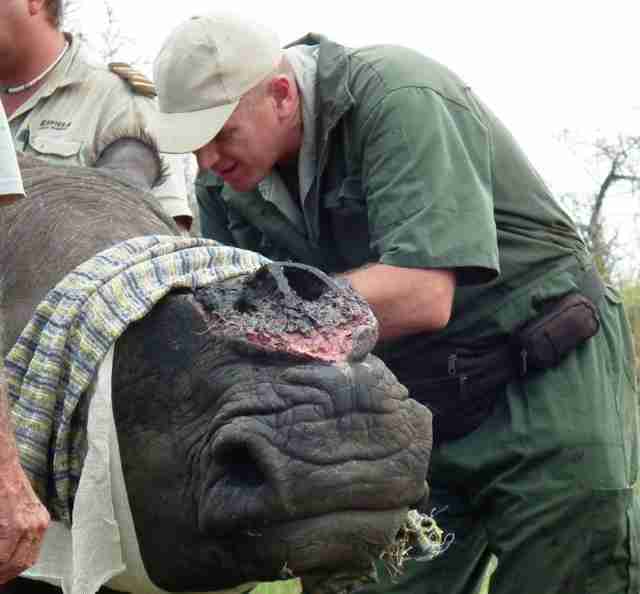 Thandi's recovery has been long and painful. Her character of resilience and determination have brought out the determination of all of us to help her and to protect others like her from the same awful brutality. Like a modern fairy tale, we route for this heroine to get her "happily ever after," to continue living safe and healthy, and to be the mom nature intended her to be.